Chocolope is a Sativa dominant strain that produces large cola’s and multiple buds, leading to highly impressive yields.The seeds are 90% Sativa, producing tall plants that can grow up to 220 cm, generating a large number of buds as well as a main central cola.The 19% THC levels produce a powerful, cerebral high that’s stimulating and creative, great for daytime use. Big Bud is well known for producing heavy, ‘cash-crop’ harvests of large swollen buds, the large dense buds can often become so heavy the branches need support to avoid them breaking.Big Bud provides a calming high and strong ‘body-buzz’ derived from its Skunk parentage. 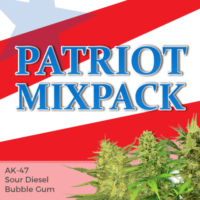 A perfect choice for both day and night smoking, with a sweet flavor and an average THC content of 16%. The Amsterdam Coffee-shop classic, Amnesia Haze produces huge ‘cash-crop yields from its 80% Sativa dominant genetics.A perfect strain for all types of growing methods, both indoors and outside. Amnesia Haze can grow tall, between 80 cm – 200 cm when grown without any restrictions and is a great choice for outdoor Summer growers.>Amnesia Haze provides a strong cerebral high, that’s clear and sociable with an approximate THC content of 21%. Not the longest lasting high but great for daytime and socializing. 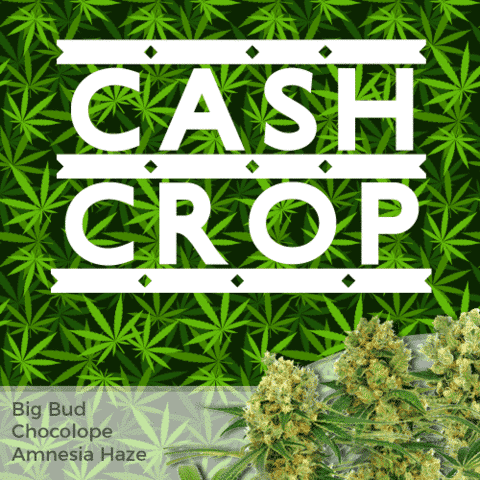 For those growers looking for larger, heavier yields from their plants, this High Yield Mix Pack offers three of the most popular feminised ‘Cash-Crop’ strains. Chocolope, Big Bud and Amnesia Haze, all feminised, and each seed guaranteed to germinate, producing a high yielding, female only Cannabis plant. 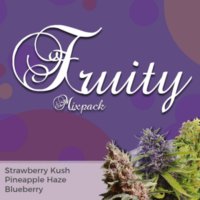 Choose between 3, 5 and 10 seed packs, with each packet containing the selected number of seeds for each strain. Growing times and yields vary, but high yields are assured. Sativa dominant plant, tall with long-running, dense colas. and and earthy-chocolate aroma and flavour. Easy to grow and perfectly adapted for indoor Screen-of-Green technique, expect heavy yields of large buds with a creative, sociable high and long-lasting effects. Famous for its heavy yields of large, dense buds, this original ‘Cash-Crop’ strain is a growers dream. 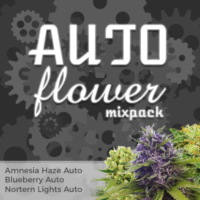 Perfect for indoor growers looking for big buds with a low leaf to bud ratio, making harvesting quick and easy. Dank, musty buds with a rich smoke and hashish flavour produce a relaxing, calming body-stone. An Amsterdam classic with large, swollen colas, multiple budding sites and heavy yields of powerful, potent Cannabis. Very easy to grow for all levels of experience, perfectly adapted for the indoor grower looking for a strong ‘cash-crop’ strain. SEED PRICES AND CUSTOMER REVIEWS!